Roots of Fire in Goa and Mumbai! Herald Café: Having performed in India as well as abroad, how do both audiences differ in receiving fusion music? 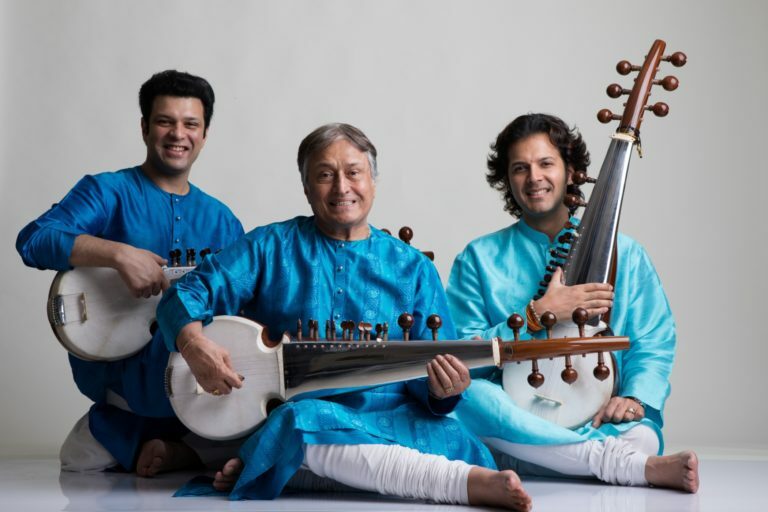 Ustad Amjad Ali Khan: I think people are interested in fusion music, everywhere. In our country we call it jugal bandi; I used to perform with several south Indian musicians. It is a good thing to respect each other’s musical traditions. It is a healthy and challenging process, because all fusions are not appealing, sometimes it is confusing. HC: What is your opinion on the growth of the Indian classical genre over the years? How has it grown with the newcomers? UAAI: I’m very happy because we have so many talented musicians in every field. There are around 500 Sarod players all over the world. Sarod is becoming popular day by day and people find the sound very appealing. Despite numerous problems, the future is very bright for Indian classical music. HC: What is the reception to Indian classical music in Goa? UAAI: Goa is an amazing place because it has westernisation, traditions and radical people as well. I salute the people of Goa. Goa has had a lot of great classical musicians, like Kesarbai Kerkar. I have visited Goa several times to perform in my homage to Kesarbai Kerkar. As a young boy, I have visited Goa and witnessed a lot of classical concerts in Goa. But every year I see a change; change is natural and one has to accept it and do accordingly. So Goa has all kinds of entertaining events, and there is an audience in Goa for classical music. But the time has come for every young classical musician to improve their presentation; so when a new audience comes to listen to classical music they won’t be disappointed. Every individual in the audience should be entertained and receive the peaceful message of music. Herald Café: How did the initiative of Roots of Fire come about? David Murphy: Basically, I have this vision that music and culture can really understand each other and there are a number of people who also share that vision. In the UK, there is a charity called the Bagri Foundation; they’ve been really supportive of the Roots of Fire. Without them, the project wouldn’t have happened. The foundation’s main aim is to understand the Indian as well as Asian cultures, so the idea of bringing western music here in India came about so that it can be experience by everyone. The Deccan Heritage Foundation is based in the UK as well and their main aim is preservation of ancient monuments here in the Deccan region for many different things, like the old temples and churches. One of the reasons for the master classes was so that Goan children could begin to learn about their musical heritage. We’ve been very lucky to have Royal Highness Princess Irene who is a trained constituent and she is deeply interested in bringing different cultures together. Goa is such a fantastic place to explore cultural understanding and to bring musicians together, especially with children. I’m happy to have the support of Bagri Foundation and the Deccan Heritage Foundation to support this initiative. HC: Share with us your experience interacting with the students of Lourdes Convent School. DM: We’ve had a great time so far. The students are very attentive, keen and happy. We’ve been giving them quite a few challenges today and they have been great. To begin with, we’ve played some of our music to them, so they could hear the instruments and experience it. After that, I started showing them some Indian rhythmic ideas and we played some Indian rhythm games as well. We continued to play some more music and then we played some more challenging rhythmic games. Day one was dedicated to familiarisation of the music and understanding Indian rhythmic music. On day two we’re going to be mixing rhythmic western harmony with the Indian rhythmic ideas. Using those principles of western harmony with the Indian ideas, we plan to engage the students in music of both cultures. And we’re going to put together a demonstration which we will perform on January 19, 2017. HC: How has your Goan experience been so far? DM: It is my first time in Goa and it’s great. I have been here since Sunday. I have met a lot of people and everyone is so helpful and friendly. I went to one of the forts and saw the coastline. It is a very beautiful place. I would love to come back to Goa.